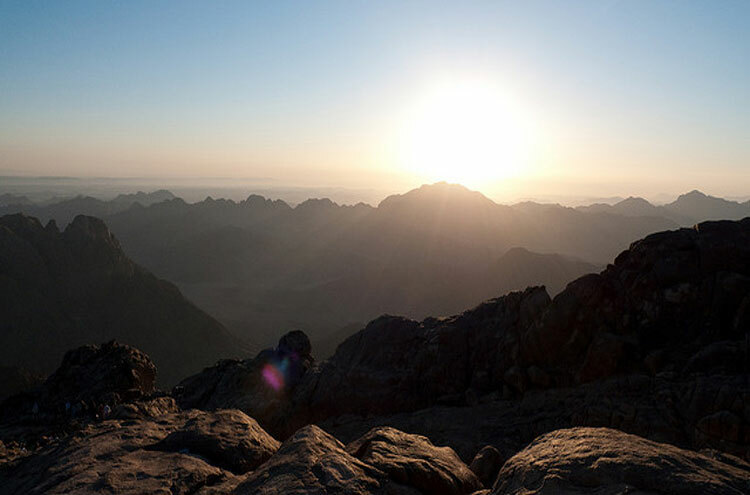 Mount Sinai is the second highest mountain on Egypt's Sinai Peninsula, and is believed to be the site on which Moses received the Ten Commandments. 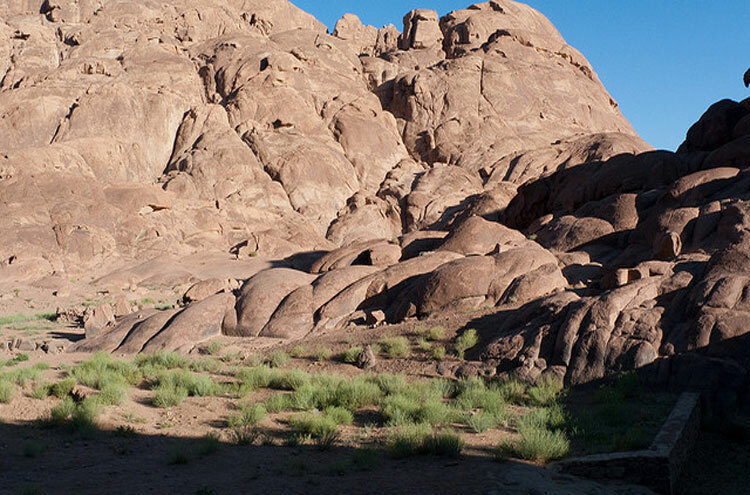 This is a grand, harsh desert scenery of broken mountains and deep, dry ravines. 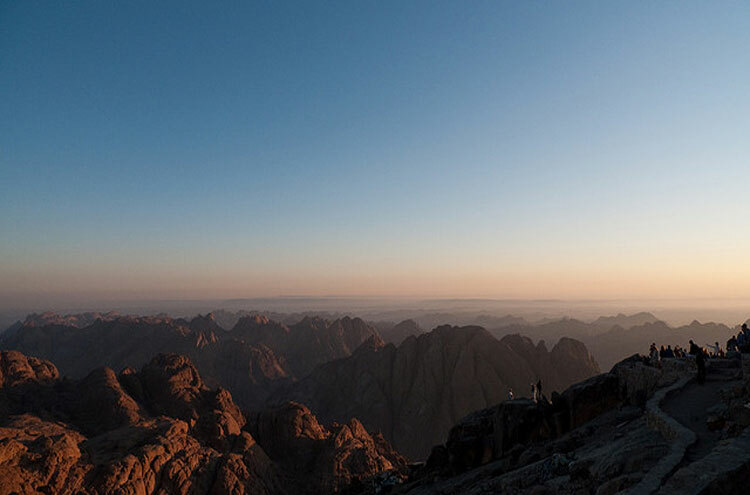 Visitors usually ascend the less steep side of the mountain from the ancient monastery of St Catherine while it is still dark, and then watch the sunrise before descending the much steeper 3,750 Steps of Penitence'. 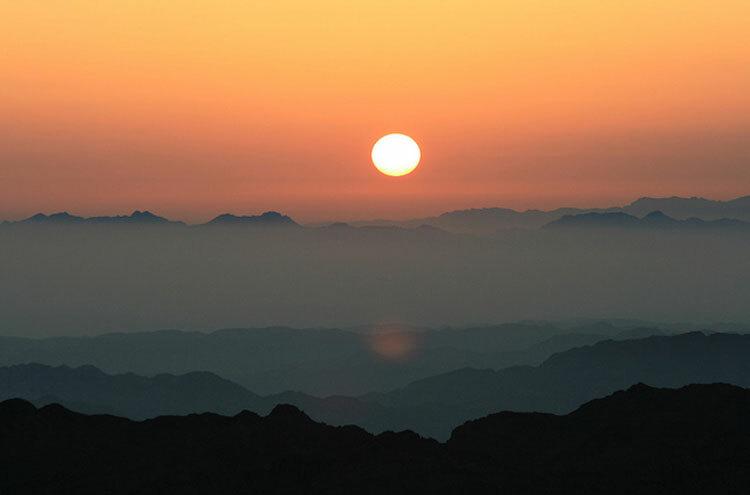 Consider a daytime ascent to get more views and atmosphere, but beware of extremes of heat. The Mountain's great religious significance is reflected in the various buildings and sites along the way. This walk can be very crowded, and also entails two or three hours of walking in the dark if you want to catch the dawn. 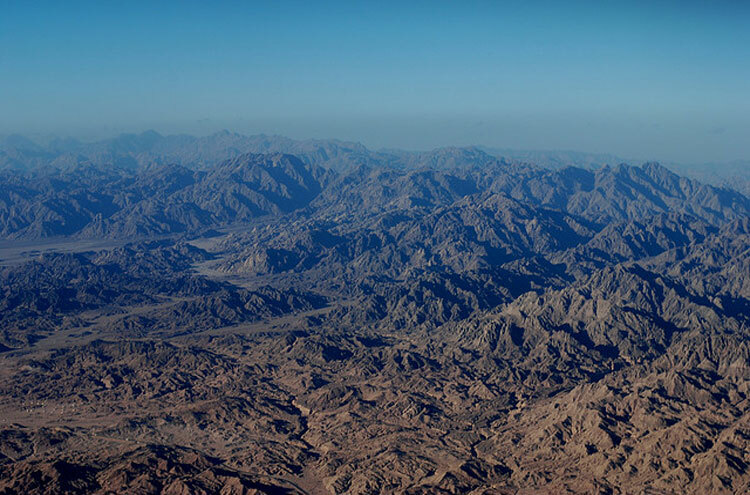 The Sinai peninsula is perhaps best known for the Red Sea resorts around Sharm-el-Sheikh. 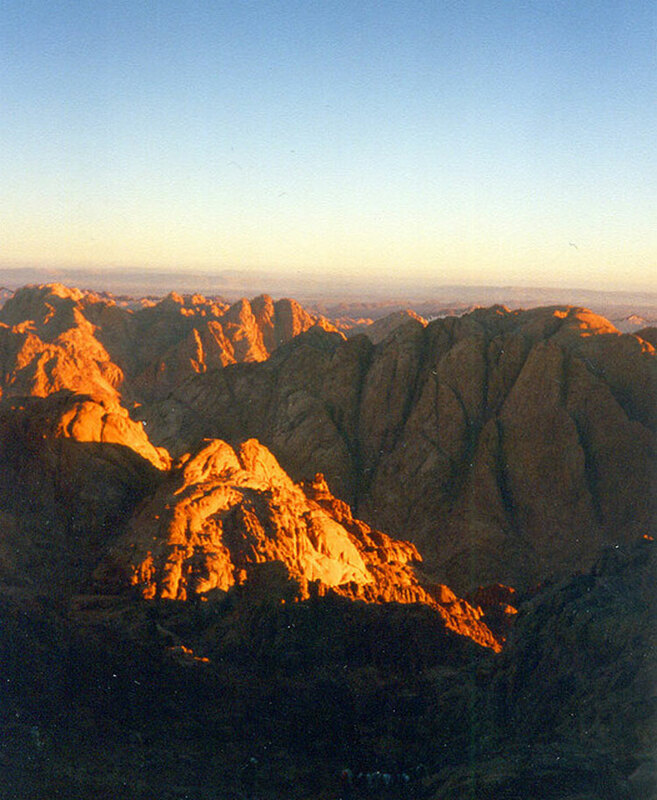 However, within the dry and often stark interior looms the remarkable Mount Sinai, one of the Middle East's most sacred mountains, which can be ascended from the marvellous St Catherine's monastery at its foot, and, walked at the right time, provides a stunning view of the Sinai peninsula at sunrise. 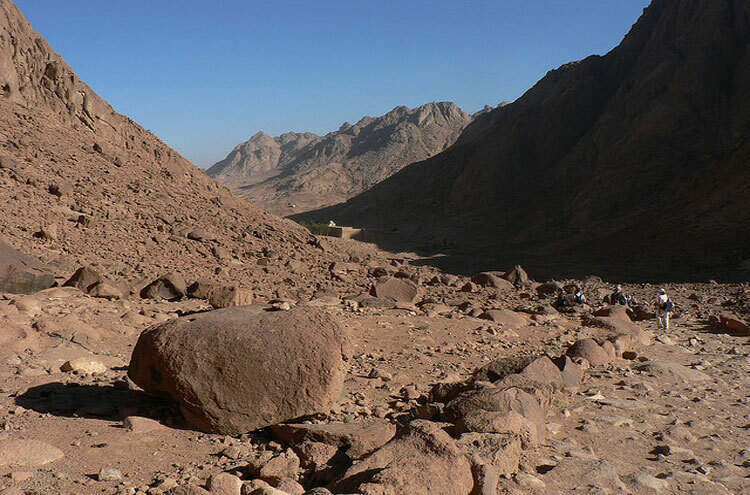 The local Bedouins often refer to this mountain as Jebel Musa', the Mountain of Moses. According to biblical legend, it was near the monastery that Moses was confronted with the famous Burning Bush, and it was also the slopes of the mountain that he climbed to receive the Ten Commandments. 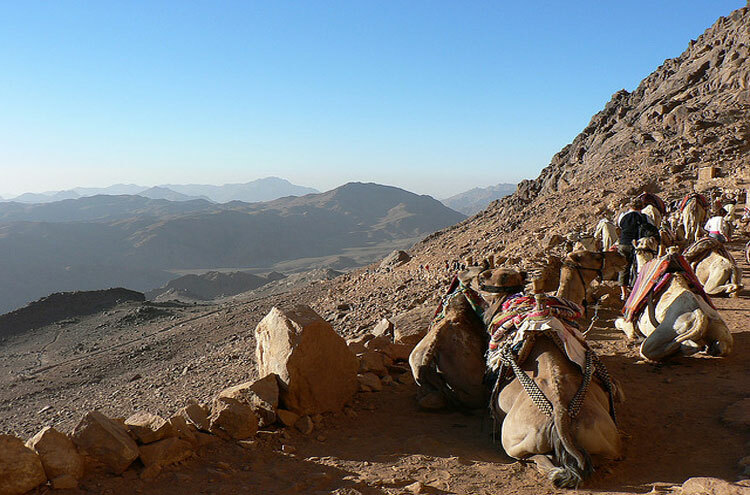 The area has spiritual significance for the three major religions of the surrounding regions; Christianity, Islam and Judaism, but the moving and rewarding climb is not made any less so by lack of piety. The only problem with this vast appeal is that the gorgeous views are often shared with several hundred other people, and if you choose to sleep on the summit this makes it a tight, and noisy, squeeze. Most people climb the mountain when it is still dark, going up the more gentle camel trail (Siket el Basha) and then stopping at a plateau known as Elijah's Basin (complete with the 500 years (or more) old tree upon the spot where the prophet Elijah is said to have heard the voice of God), which is where those spending the night on the mountain sleep. From here there are around 750 steps leading to the summit, and the aim is to have made your way up these before the sun rises the next morning. 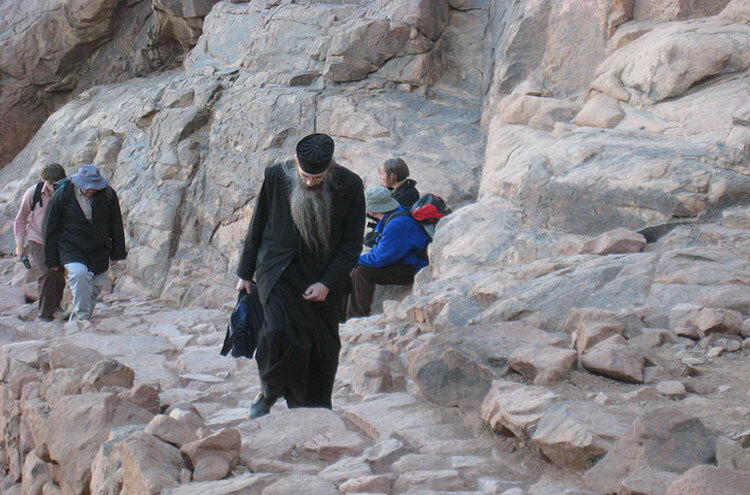 If walkers want to try out both routes up Mt Sinai, then it is advised to go down the Steps of Penitence' (Siket Sayidna Musa) rather than climb up them they were devised by a monk as (naturally, given the name) a form of penitence, and the 3,000 steps up to Elijah's basin are indeed punishing, although they offer fantastic views of the monastery on the way down. 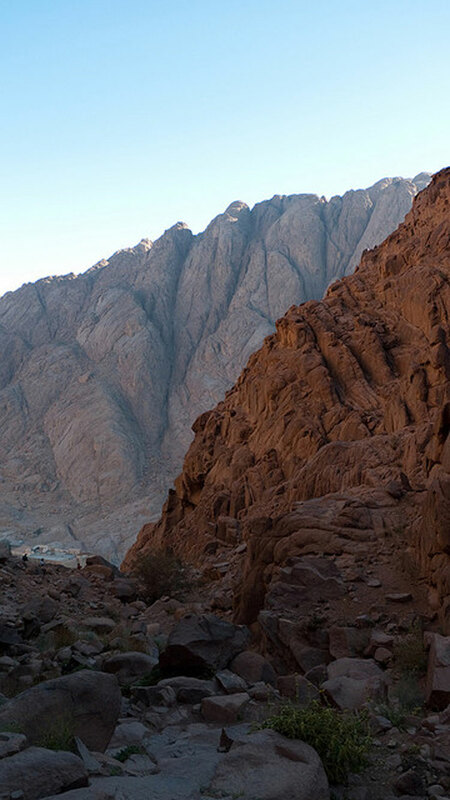 Once you have completed the walk, St Catherine's monastery, now a Unesco World Heritage Site, is certainly worth a visit. One of the longest surviving working monastic communities in the world, it has for centuries been visited by dedicated pilgrims, and modern visitors can still see a bush claimed to be a descendant of the original burning version within the grounds. Other things worth seeing are the Church of the Transfiguration and the Monastery museum. Naturally, gift shops abound.